I am loving this fun Trick or Treat pennant garland that Stephanie Creekmur included as part of her free Halloween printable collection. There are also cute coordinating bottle wraps, flags, and tents to go with it. All with great black and white patterns and a pop of Halloween color. 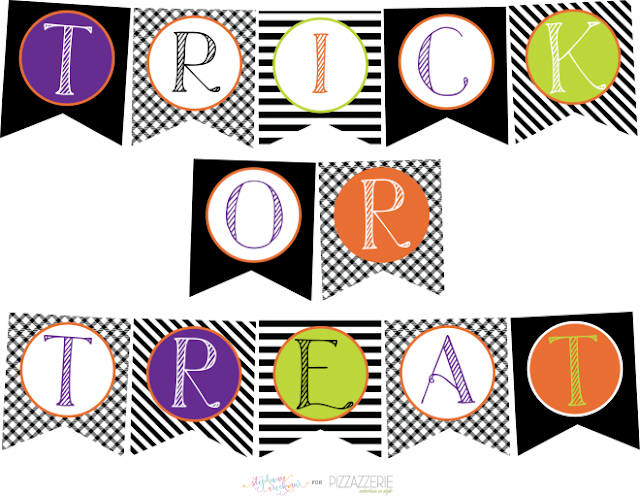 You can download the entire free printable Halloween party collection over at Pizzazzerie.